My heart goes out to anyone affected by this massive tragedy. I wish the people of Japan a speedy recovery. 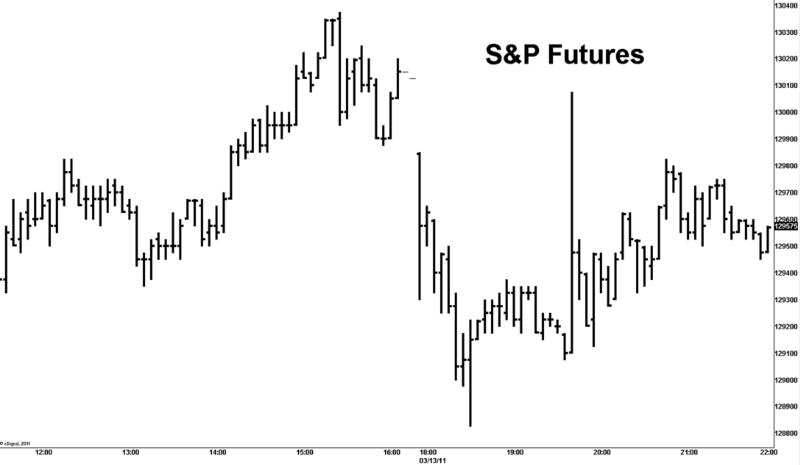 Yet the S&P futures are trading off a mere 7 handles. Granted, the fallout, especially the nuclear variety, could take several weeks or months to unfold. I’m very surprised that the market is not discounting this further. One key appears to be the fact that the Bank of Japan immediately assured markets that it would add “massive” amounts of liquidity to stabilize the system.